Welcome to part 2 of my Valentine series! I love the background paper that I purchased at the Paper Source store. The gray, mint green, lime, and turquoise go so well together. 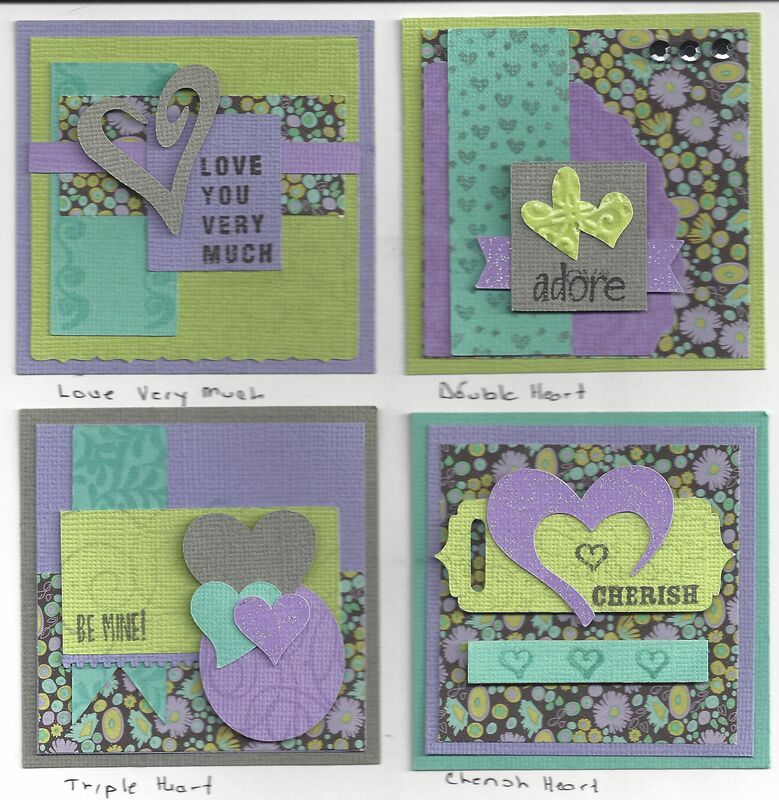 Cherish Heart:Silhouette: 5 Valentine Hearts (54315), Tiny Fancy Ribbon (56819); Background: Hero Arts; Sentiment: K & Co. 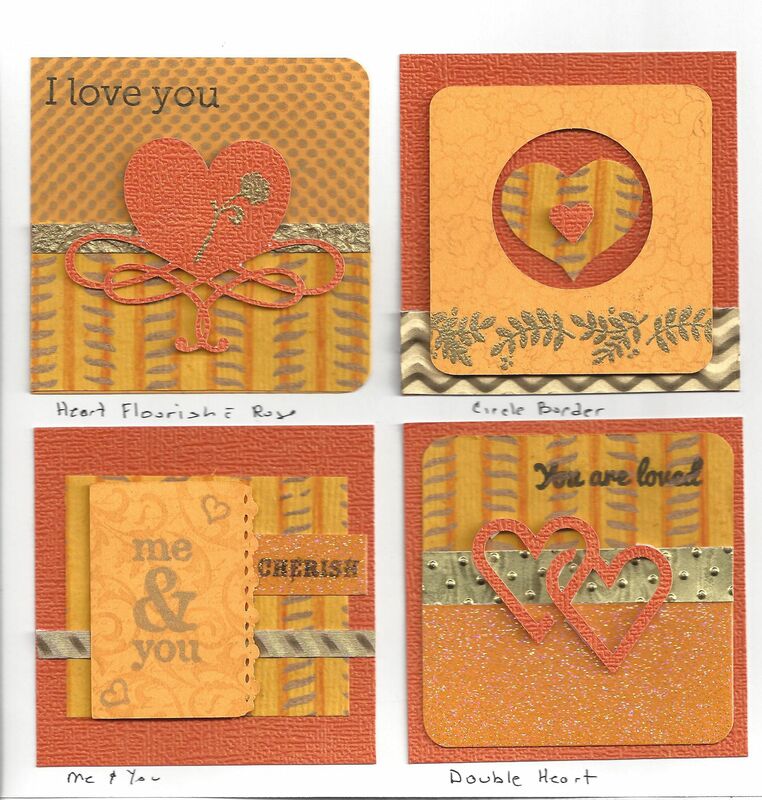 I don’t think I have ever seen a yellow and orange Valentine before but the handmade paper pulled the cards together. 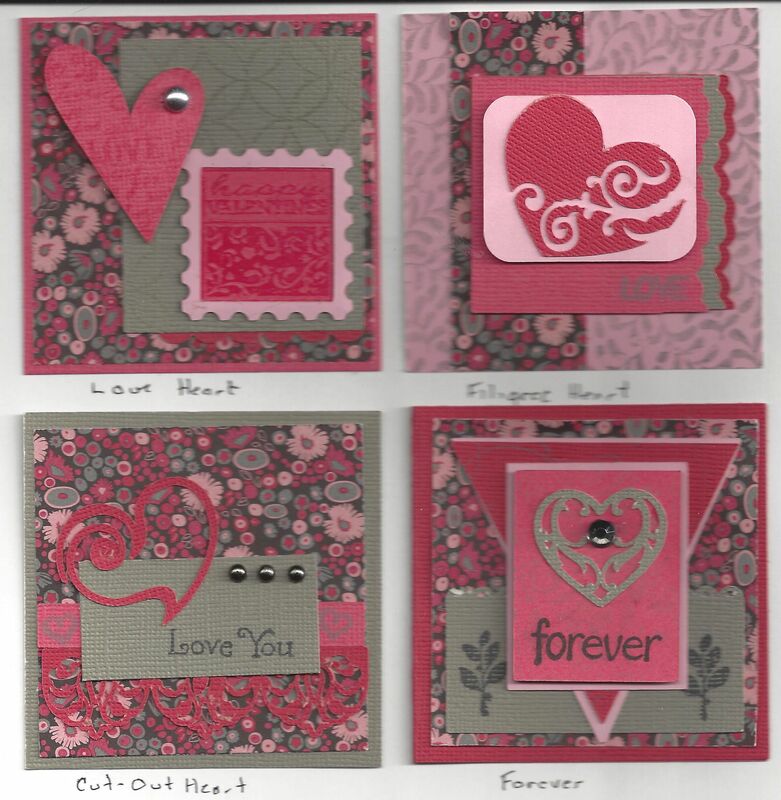 This paper is the same print as the first batch of cards only in a different colorway and comes closer to actual Valentine colors.